Valet Parking Epidemic - Really? SVS Parking say "ENOUGH"
You are here: Home > Valet Parking Epidemic – Really? New Hotel openings are booming this year, 5-Star restaurants are on the rise, and metropolitan areas are turning into valet parking zones for new developments. Is this good? We think so, but we’re afraid for consumers. Our solution? Educating consumers and prospecting new clientele by assuring them that BIGGER is not BETTER. There is no safety behind “BIG corporate” no matter how much insurance a provider carries, or whether “national” is in their sales pitch. It’s proper scouting, hiring, training, and hands on principal participation. Welcome to the history of SVS Parking. 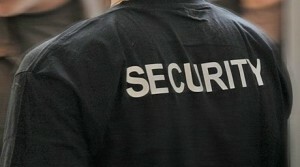 Shouldn’t your valet provider protect you? Since it’s becoming an epidemic of theft, speeding, and accidents, car manufacturers are helping you ( See Here How ). ← A Business With No Plan = A Plan For No Business!